for $299,750 with 3 bedrooms and 2 full baths. This 1,776 square foot home was built in 1998. The Highlands is a gated community with paved roads, underground power and utility water to each lot. 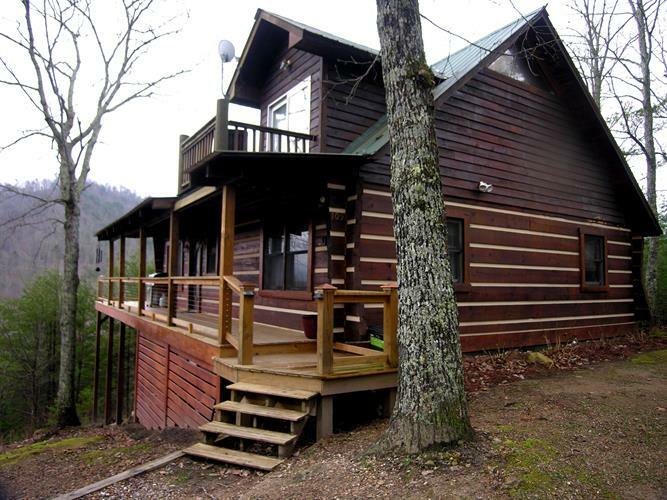 This Log home has been a successful rental property and that means that maintenance and cleaning has been regularly taken care of. Take a look at the views from this top of the Highlands location - watch sunrises and sunsets across the mountains. More pictures coming, which still don't do justice to the real thing. Ideal vacation home, year round living, or investment property. It's a special place - come take a look. Furnishings included except leather couch & dining table.Easy access to Cherokee National Forest, Tellico River, Cherohala Skyway, and all the beauty of the Tellico Plains area.